Zebra Crossing Café is friendly, well priced and in a convenient location. A perfect place to work and/or meet friends for a delicious meal, a coffee or a glass of wine. The Zebra Crossings is located in the gardens of Ababa House Gift Shop on Twikatane Road, off Addis Ababa in Lusaka. 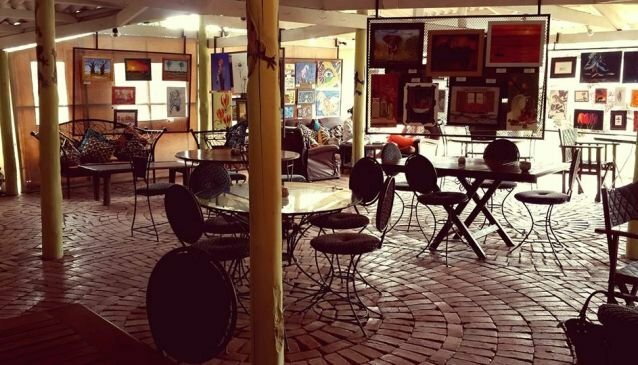 The café is the venue for a rotating art exhibition with a new exhibition opening on the first Thursday of every month. Artists, professional and amateur, all book well in advance to exhibit at this trendy venue. Weekly art demonstrations and classes are also held at the café adding to the arty vibe.